03. Origins of the Belgian Commandos. In August 1942, the "4th troop of N° 10 Inter-Allied Commando" (10 I.A.Cdo) is created in Great Britain under the command of captain G Danloy. ("Troop" is a Commando name for a company). It includes approximately 100 troopsmen and is made up of two attack sections (platoons) and a staff. This 10 I.A. Commando also included "troops" coming from other occupied countries (France, Netherlands, Poland, Norway.). After an intensive training, the first candidates get their commando badge and their green beret at the "Commando Training Centre" in ACHNACARRY in Scotland. Based in ABERSOCH in Wales, this unit is specialised in amphibian operations and raids. 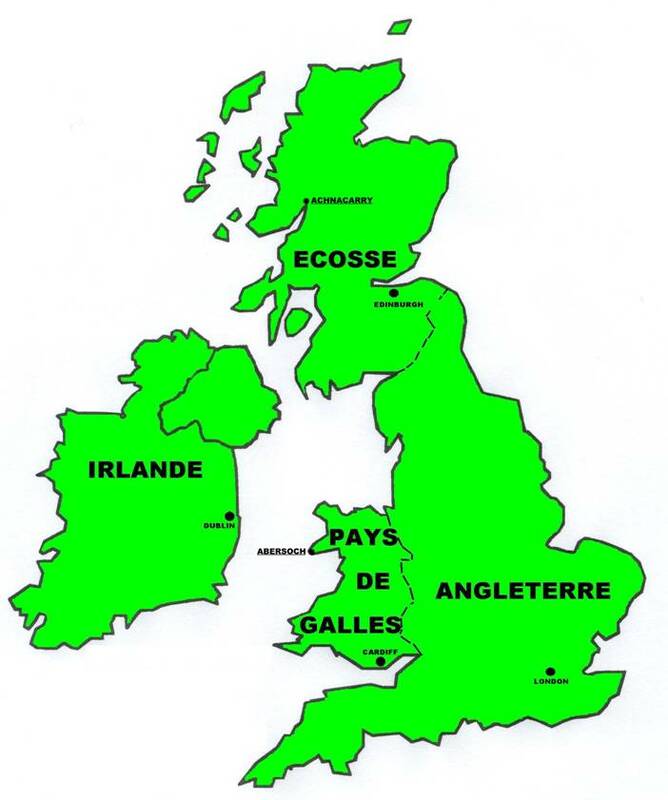 Map of Great Britain with the localisation of the centres.